Seeing is believing. The NU7400 55" Samsung 4K HDR Smart TV delivers breathtakingly flawless details. 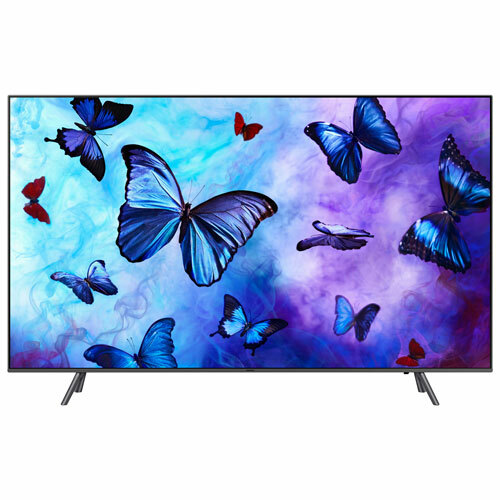 Raising the bar with HDR10+ technology, this voice-controlled UHD TV brings a stunning visual experience to your living room for everything from binge-watching your favourite shows to checking the sports highlights. Bought this online, Open Box...bought 17 Mar, got Mar 20 ! !, bought it because of the V stand, it can be put on a narrorer cabinet...was Easy to set up, even for me, i think maybe because it was already checked / calibrated by "Geek Squad"..connected easily via our cable, a few passwords later with the cable remote it WORKED... I luv it, my husband did not want one (so big)... well guess who,,,,, is glued in front, golf/sports/ etc... the sound is very good, loud enough for our room 12/18, It is sitting beside the patio door, west side of house... the picture is great even in bright daylight.. fun to watch action movies, ie as in the 'life of Pi"..& my dogs like barking at the strange animals now on the big screen :) So, Now i will wait for my computer nerd son to teach me how to use the smart features... very good price... & so far very happy with the purchase, and the Best Buy Service...especially in their stores..
really impressed with this TV, highly recommend it. My last Samsung lasted 10years of heavy use. I hope this one last as long or longer. This is the first smart TV I've owned and am quite impressed with the performance. The picture is very sharp and the built-in speakers can fill the room. IMO it is a very good TV and you should not be disappointed. Excellent quality for a great price!! 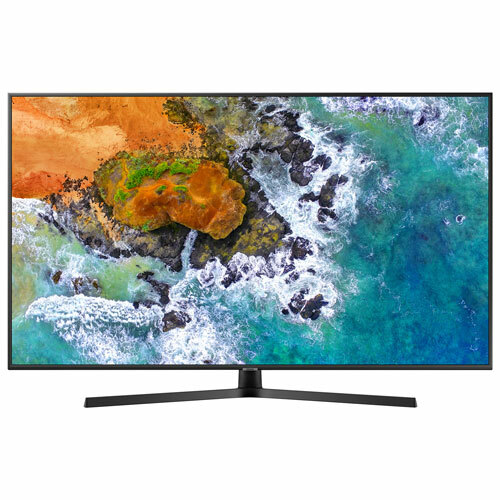 We bought this TV 2 weeks ago, so far its been a great TV crisp picture, great color specially when you use a 4K hdmi cable, we need to buy a good sound bar the TV sound is not that good and not that loud. Over all Samsung didn’t disappoint!